So I've permanently moved to my new home on Word Press. Here is the link. Hope you join me over there! 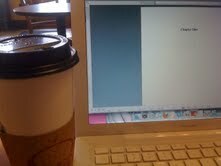 As of Monday, I'll no longer be writing romance in the closet (I'll be writing it on my kitchen table!) I'm going to a new website and blog (one that uses Word Press). My web designer did a great job updating my look to incorporate the very colorful covers Berkley has been giving me. I think it looks beautiful (sneak peek above) and hope you'll join me there on Monday. I'll be back to place a permanent link. Happy weekend, everyone! If you write romance (or any kind of genre fiction with romance in it) and live in the Orlando area, then you might want to consider stopping by the Central Florida Romance Writers monthly meeting this Saturday, March 3. I'll be the guest speaker and my topic is How to Write a Better Book. You can find the details right here. Hope to see you there! To celebrate the release of her debut novel, Texas Two Step, my friend and fellow author, Cynthia D'Alba is blogging about those sometimes hard-to-read "man signals" over at Riding With the Top Down blog. Click on this link to leave a comment on the blog and you'll be entered to win an autographed copy of my novel, The Boyfriend of the Month Club! Isn't her cover absolutely yummy? “A lovely story starring a heroine who could be any one of us. An unexpected delight!” –Carly Phillips, NY Times Best Selling Author. 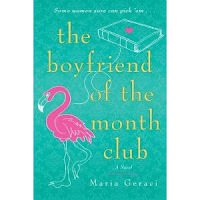 “Maria Geraci writes with a vibrant, rich, contemporary voice that manages to be tender and hilarious at the same time. 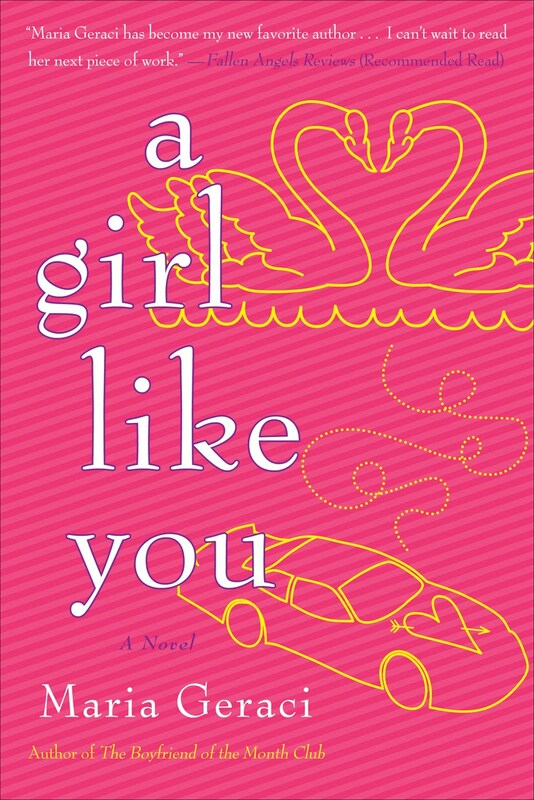 A Girl Like You delivers the goods: unforgettable characters set in a quirky small town with a feel-good ending that lasts long after you close the book.” Roxanne St. Claire, NY Times Bestselling Author. Thank you to both Carly Phillips and Roxanne St. Claire who took time out of their busy writing schedules to read my manuscript and generously provided these awesome quotes. The book comes out August 7, and is already available on Amazon for pre-order. Every ugly ducking is a swan in waiting. Emma Frazier loves her job as a journalist for a Florida lifestyle magazine. 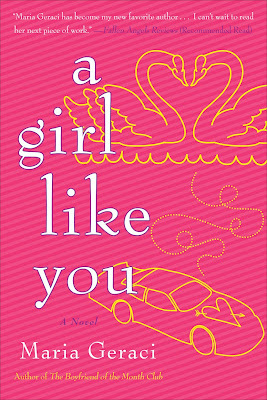 Emma knows she’s no great beauty, but she’s confident she has a shot with her handsome new boss, Ben Gallagher—until Emma overhears a mutual acquaintance refer to her as the “ugly friend.” In an effort to reclaim her battered self-esteem, Emma decides to impress Ben by promising an exclusive interview with NASCAR legend, Trip Monroe. Emma and Trip went to high school together and although it’s been fourteen years since they’ve spoken, Emma is certain she can score an interview with the elusive super star. But connecting with Trip turns out to be harder than Emma imagined. Her quest for the interview leads her back to her hometown of Catfish Cove, where old secrets and a new romantic interest shake up Emma’s views on life and teach her that the key to finding true love is as simple as accepting yourself for the person you were always meant to be. Want to write a better book? Today, I'm over at the Girlfriends Book Club talking about how to write a better book. Check it out here. Do you pin yet? I have to admit, I'm totally hooked on Pinterest. If you're not sure what Pinterest is, then check out my blog about it over at Magical Musings right here.